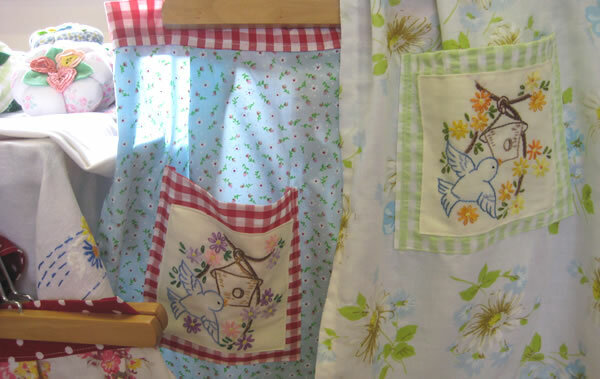 Welcome to Pinky and Boo – here you will find a range of handmade items for you, your home and maybe even a special person you are looking for that “little something” for. All the items for sale in my little shop are handmade by me, Claire in my home in Nottingham to my own design. I use beautiful vintage fabrics and trims wherever possible, and love pretty colours, kitsch prints, hand embroidery and crochet amongst many other things. Here you will also find details of the courses I teach, the craft fairs I will be selling my work at, and also my blog, where I ramble on about my life, the crafting I am doing, and the home I share with my husband David, and the 2 kitties Betty and Stella.